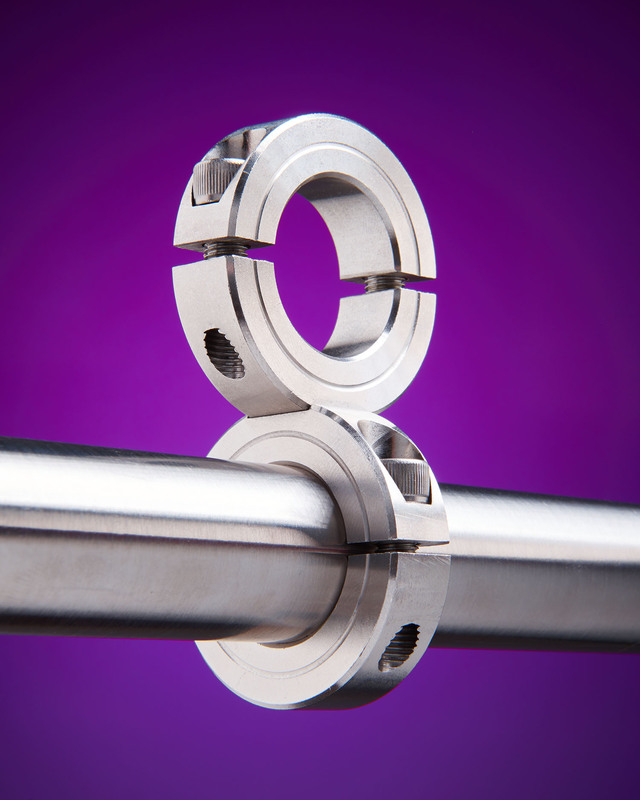 A new line of shaft collars that are machined with a slot and are stackable at a 90 degree angle for rigidly mounting tubes, shafts, or other devices is being introduced by Stafford Manufacturing Corp. of Wilmington, MA. The Stafford 90 Degree Mounting System features two stainless steel shaft collars with machined flat slots on their O.D. that precisely fit into each other at a right angle for stacking tubing, shafts, and components. Ideal for applications where vibration and thermal shock are a potential problem, these rigid 90 degree mounting collars come in several standard sizes. Available in 3/8”, 1”, and 1-1/8” I.D. sizes made from stainless steel with stainless steel fasteners, the Stafford 90 Degree Mounting System incorpor- ates two-piece shaft collars with smooth bores to protect shafts and evenly distribute the holding power on tubes and can be used to align sensors up and down. Custom materials, sizes, and mounting angles are offered. The Stafford 90 Degree Mounting System is priced according to size and quantity. Price quotations are available upon request.